Montague Queensland will increase its focus on third party logistics through its new warehouse and packing facility, built in conjunction with Brisbane Markets Limited (BML). Located within the Brisbane Markets site at Rocklea, the 5,578m2 facility has the capacity to store circa 2,000 pallets. A fully automated, temperature-controlled environment, the new warehouse has extensive cold storage space (with modern ethylene control systems) and ripening rooms equipped with the latest European tarpless technology. Montague and BML hope to position the new building, to be known as C1, as a hub for the state’s produce trade. 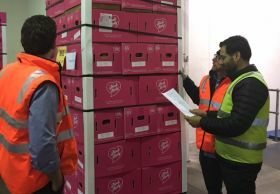 “It’s a central point for the transport of fruit and vegetables to and from northern parts of Queensland,” said Hamish Montague, general manager of Montague Queensland. 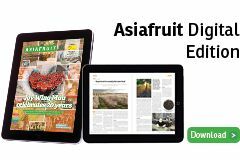 The facility, scheduled to open in April, has been geared up to handle Montague Queensland’s core categories of pomefruit, stonefruit, exotics and selected vegetable lines. With the company offering its ripening services to third parties, other fruit lines such as mangoes, bananas and avocados can also be treated onsite. The Queensland facility will compliment a new packing and export distribution centre Montague is building near its orchards on the outskirts of Melbourne. Once operational, the company says it will have the capacity to manage sales across the Eastern Seaboard from the two facilities. Montague Queensland currently accounts for just over 20 per cent of the overall Montague business.